By crushing the gem. You will free up an equipment slot, but the gem will be destroyed. By applying the Diamond Knife item. In this case, the gem is saved in the Cache and may be used again. The Diamond Knife is a single-use item. 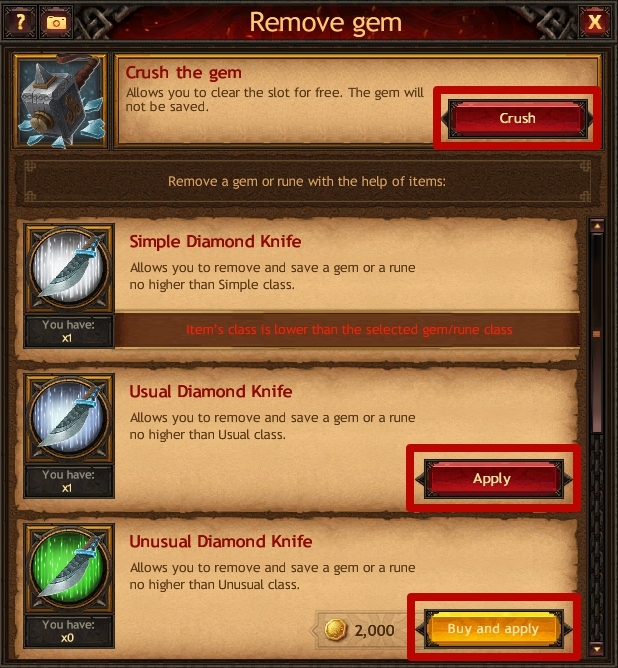 To remove a gem of a specific class you need the Diamond Knife item of the same class or higher. You can purchase it in the Bonuses section in the Item Store.